Access powerful office team building exercises that your team will enjoy and learn from. 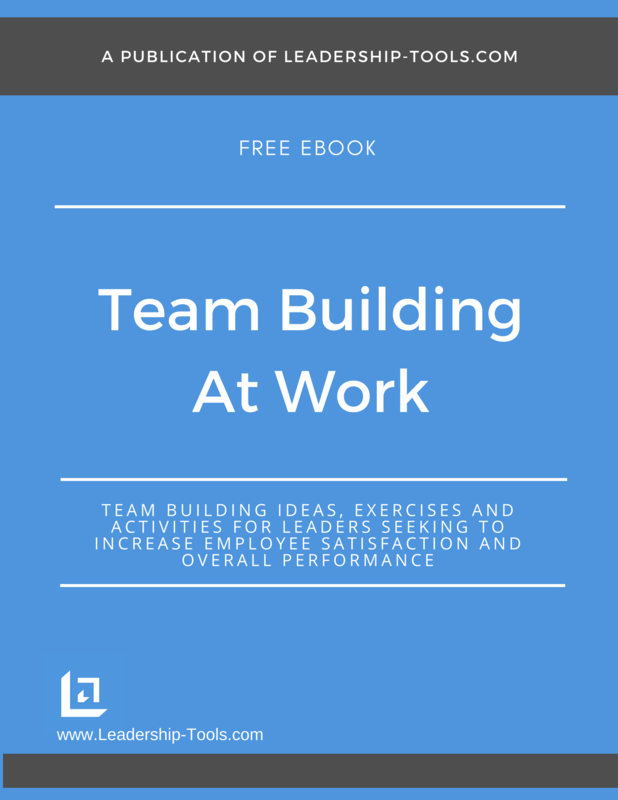 Our free eBook, Team Building At Work. 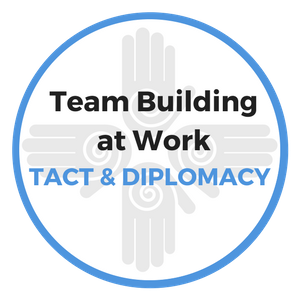 is full of innovation team building ideas that leaders can quickly implement with minimal prep time. In this chapter we focus on the topics of how leaders can get better results through improved performance. The role and responsibility of leadership is one that provides you with a unique opportunity to make a positive impact in the lives of others. While the key role of leadership is to drive results and maximize profitability, the people element of the equation must always remain at the very top of the leader's priority list. The people you lead have been entrusted in your care. It's your responsibility to make sure they have every chance to be successful while under your supervision. Moreover, great leaders take pride in making sure their people are better prepared for the next step in their career when they leave the team than when they started. Your team members are counting on you to advocate on their behalf when you can, and to hold them accountable when necessary. If the leader is only concerned with the bottom line vs the well being of the front line, that person is not an effective leader. "If you make a habit of practicing as if you are the worst, you will perform as if you are the best." In today's high pressure sales environment, it's easy to sometimes lose sight of the importance of taking care of our team members. With so many increased expectations being placed on employees, it's no wonder why leaders have a harder time staying connected with their team members. But those not a good excuse because simple tools are available to aid in your efforts. Our office team building exercises can help. The art of leadership is such a complex issue, we hope that you will use one of our office team building exercises to help your team stay focused, connected and improve results. Purpose: Office team building exercises like this will get your people perceiving challenging tasks, projects or goals more positively. Perception often dictates reality so it's imperative that your team begins every project with a positive outlook. Explanation: Make the point to your team that they have the power to perceive virtually all things either from a positive or negative perspective. In the interest of time, make the list no longer than 8-10 items. Next, ask the group to come up with a list of positive outcomes from this experience. (This will be harder for the group because it is difficult to voice optimism when talking about such a tragedy, even more so if it's a personal tragedy. You can offer up a few of your own ideas to get people started thinking from a different point of view. The space program will learn from this disaster and become even safer for future flights - thus saving countless lives. The nation came together from the crisis which was good for the solidarity of our country. The family members will remember their deceased as American Heroes and throughout history their family will take pride in his/her commitment to space exploration. The focus on the tragedy from the national media will inspire a new generation of space enthusiasts. Perhaps a child who will become the greatest space explorer of all time. Now challenge your team to come up with 5 additional positive outcomes. You will be surprised now by their creativity and renewed vision for what is possible. Lastly, go through the exact same exercise. This time however, choose the following topic appropriate to your own business: Revising our results and performance goals UP by an additional 15%. After going through the negatives first (limit the list to 5 items), then go through the positives, and allow your team to have a lengthy discussion on how this 15% production increase will be achieved. In effect, let them create a mini action plan. Have fun with office team building exercises such as this one. Be creative and come up with more scenarios if time allows. It shows people you are a leader with vision and that you understand the power of perception and personal belief in what is possible. "When the leadership is right and the time is right, the people can always be counted upon to follow - to the end and at all costs." Purpose: Use office team building exercises to help your team members identify their limiting beliefs and feelings. Then explain how those beliefs and feelings directly impact (positively or negatively) their bottom-line results. Explanation: What's holding your team back from experiencing Breakout Performance? Old beliefs/Personal Insecurities (aka: conceptual barriers)? Before we proceed, keep the following quote in mind - it's a powerful reminder of why it is so important to complete sales management activities and invest time in office team building exercises. Help the employee understand and be aware of why it is that they may feel the way they do. Employees should understand that they feel the way they do for a reason. They were taught these things from their parents and society at large from the time they could walk. Once they understand this it can be much easier for them to make a decision to overcome their old belief(s). Step Three - Turn Limiting Beliefs into Unlimited Possibility! Illustrate the following to your employees so they can clearly see how their beliefs and feelings ultimately "pre-determine" their outcome. So based on the preceding, it's obvious which hand offers the most value - correct? Step Four - CHOOSE a path together! Obviously, if an employee is unwilling to work to overcome conceptual barriers, then you should agree that a sales position is not the right fit. "Always you must expect the best of yourself, and then do what is necessary to make it a reality." You should either find a more suitable role for the person or part ways so he/she may pursue a more rewarding opportunity somewhere else. Let's assume however that the employee seeks to overcome their conceptual barriers and is willing to take ownership of a plan for improvement. Believed they wouldn't be successful? Feels they shouldn't be successful? Does not take the actions necessary for them to become successful? The answer to each question is "Of course not", right? So by default we must agree that in order for anyone to be successful, he/she must understand what is holding him or her back. This person must be willing to work to overcome obstacles, and choose to proactively follow a corrective action plan. Finally, they must "execute" the plan. 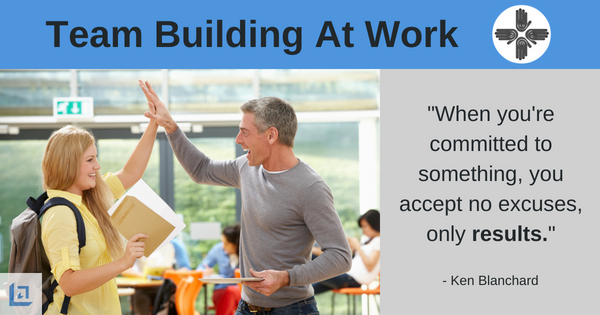 By taking your team through insightful office team building exercises like this, they will build new beliefs that will enable them to discard those old and tired, limiting beliefs. To download our free Team Building At Work eBook, providing office team building exercises and activities, simply subscribe to our free newsletter. You will immediately receive a password that grants access to our entire leadership tools library.